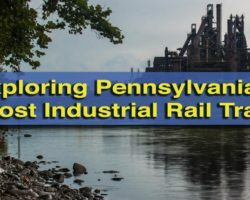 While the history isn’t widely known, Allentown, Pennsylvania, played an important role in the development of the automobile. It was in the city in 1889 that Henry Nedig created one of the world’s first gas-powered cars. His creation, the Nadig Gas-Powered Carriage, was so new that he was only allowed to drive it after dark. In 1905, the Mack brothers brought their truck company, known today as Mack Trucks, to the city. Mack remained headquartered in the city until 1991 and still has several facilities in the region. 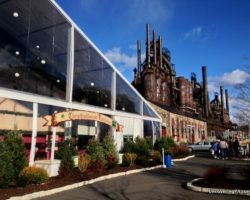 Today, automobile production might not be huge business in the Lehigh Valley, but there are two great antique automobile museums that pay tribute to this heritage. 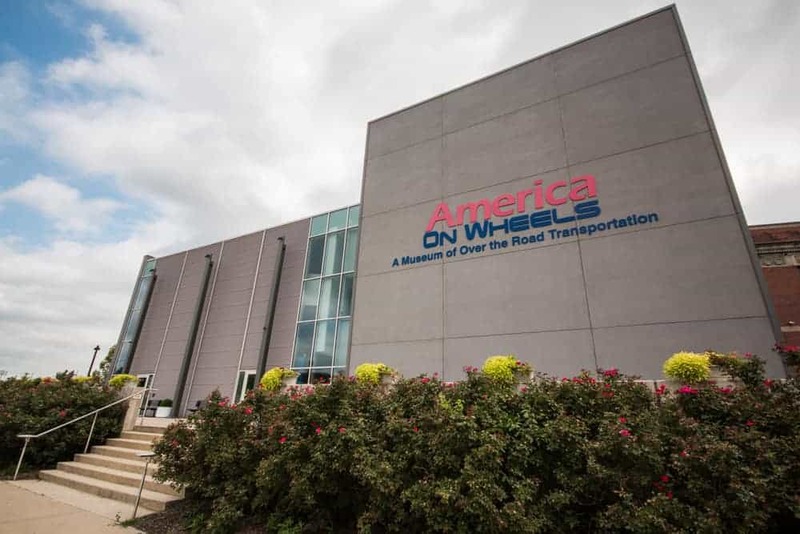 The fantastic America on Wheels Museum. The Mack Trucks museum is located in their former testing facility and tells the story of this iconic American truck. My thoughts on visiting can be found in my article on the Mack Trucks Historical Museum. The other antique automobile museum in Allentown is America on Wheels. 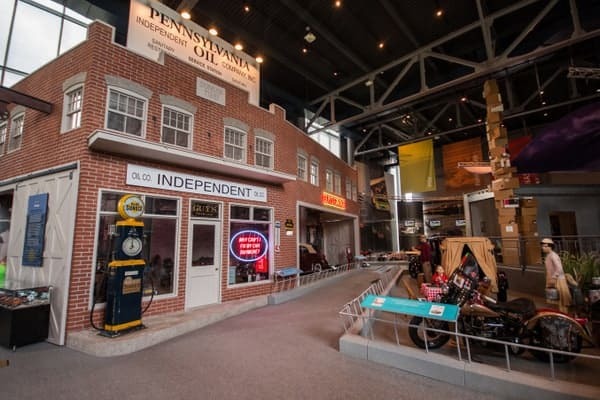 Opened in 2008 in an old meat packing plant along the banks of the Lehigh River, this museum tells the story of over-the-road transportation in the United States. Over 20,000 square feet of exhibit space on two floors take visitors from the earliest days of the automobile through modern and experimental modes of transportation. Visitors enter through a large atrium that showcases some of the museum’s most interesting automobiles. 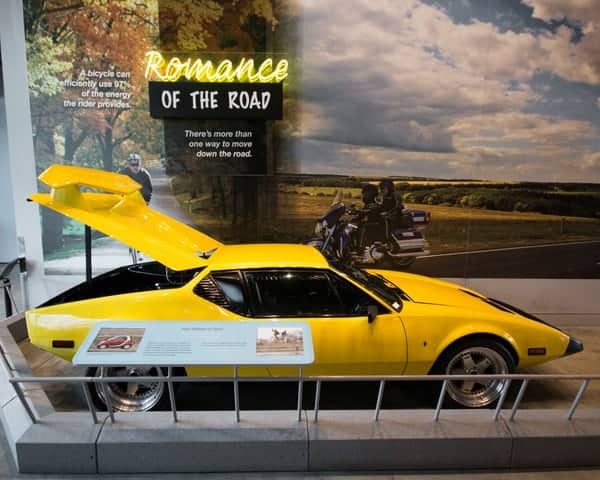 In addition to the main hall, America on Wheels features four different automobile galleries, a library, a theater, and even an art gallery. The first-floor corridor showcases cars that have a special relationship with their owners. 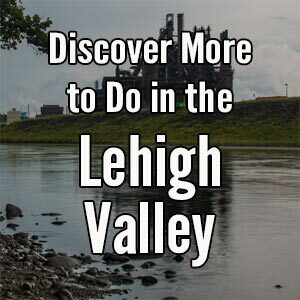 One example is the museum’s information on the Lehigh Valley Touring Association. This organization used to hold races in the region, and memorabilia from the group is on display along with a hot rod built just for the association’s competitions. There are some very unique cars on display at the museum. The first floor’s North Gallery shows how automobiles used for personal transportation have changed over the years. On display is the chassis of the Nadig Gas-Powered Carriage, which was built in 1889. The rusted chassis was rescued from a collapsed shed on the Nadig family property in Allentown in the 1960s. Today, it is on display inside this great museum. In addition to having one of the oldest automobiles ever built, the North Gallery is home to a range of cars from the turn of the 20th century through to modern day. These cars showcase how technology and amenities have changed over the years, and offer a glimpse into the future of transportation. The museum features cars dating back to the first years of the automobile. The South Gallery is also on the ground floor and showcases the Mack Truck. Given this company’s importance to the region, it makes perfect sense to showcase these great automobiles in the museum. This gallery had the most permanent feel in the museum, with large dioramas and exhibits set up around the trucks, a video screen displaying vintage Mack videos, and even a truck driving simulator. 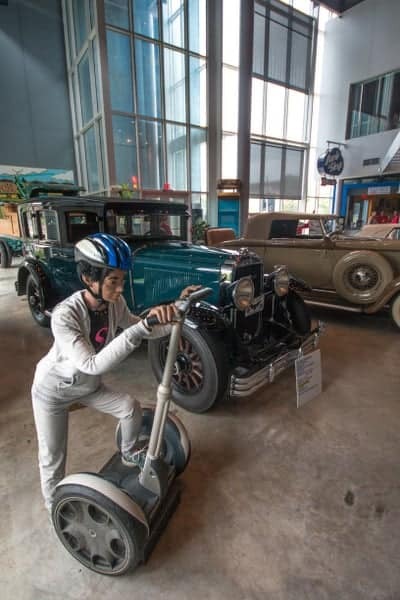 This gallery is also home to a small, but interesting collection of bicycles and pedal cars, which showcase different aspects of ground transportation from decades past. A portion of the pedal cars on display at the museum. The museum’s second floor consists of a library, as well as the Hubcap Cafe, which is open for lunch a few days a week from April through December. The second floor is also home to a changing exhibit gallery that offers a unique look at an aspect of ground transportation. During my visit, the museum was featuring a display on hot rods from the 1950s. 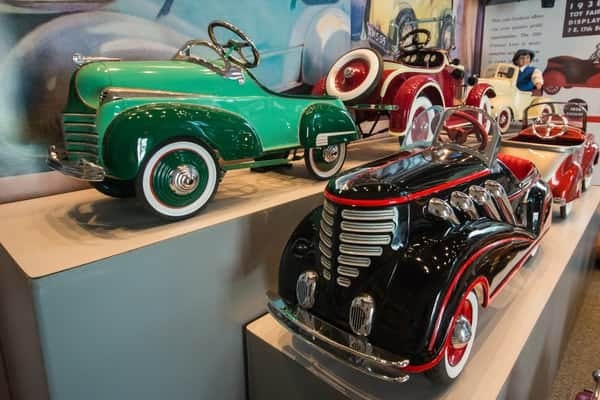 America on Wheels is a bit different than other antique automobile museums in Pennsylvania. 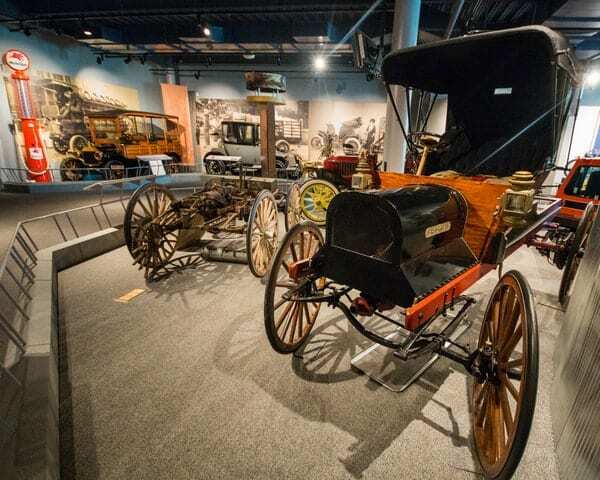 Instead of simply showcasing great automobiles from bygone eras, the museum focuses on education and telling the story of how those automobiles changed the industry and shaped the ground transportation that we use today. This approach makes the museum a perfect spot not just for lovers of antique cars, but for anyone that enjoys history. Even better, the museum also features many interactive activities and sets its cars in dioramas, not unlike the AACA Museum in Hershey. A recreated service station inside America on Wheels. 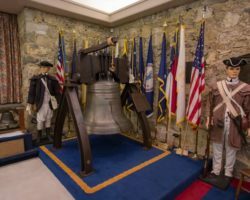 This museum makes a great complement to the Mack Trucks Historical Museum which is also in Allentown. A visit to both museums offers a nice look at the history of transportation throughout the region and the entire country. 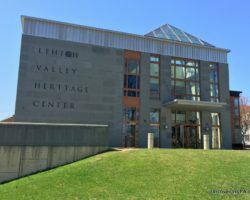 The Lehigh Valley Heritage Center also offers a great look at the region’s history. 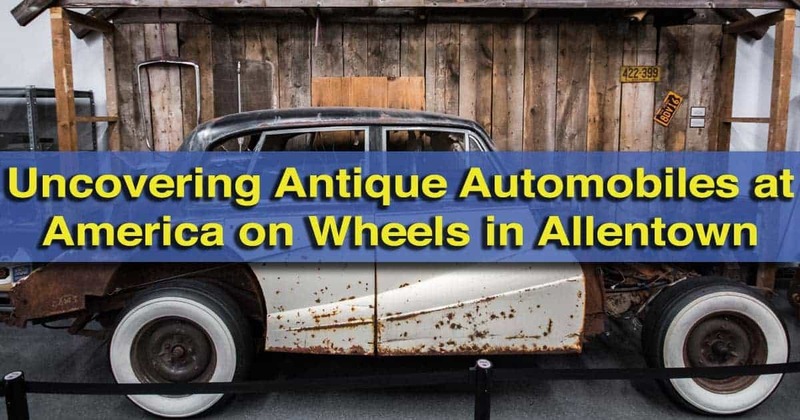 Overall, America on Wheels might not have the largest or most diverse antique automobile collection in Pennsylvania. However, they make up for it with quality and well thought out displays that are sure to interest almost anyone. Note: My visit to America on Wheels was hosted by the site. However, the opinions expressed are my own. 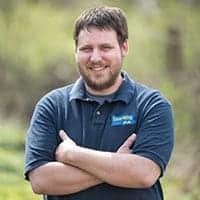 Check out other great antique automobile museums in Pennsylvania such as the Eagles Mere Auto Museum, the Swigart Museum, and the AACA Museum. You can also tour the Harley-Davidson factory in York.